If you want to stay away from ants once and for all, you need to know what attracts them to your kitchen. These are some of the things that ants don’t want you to know why they love your kitchen. It is very annoying when you walk into your kitchen to prepare breakfast for your family only to find a group of ants has taken over your space. The worst happens when you step on them unconsciously; they will bite you mercilessly as if they are the new owners of your home. They are some of those bugs that you wouldn’t want to entertain in your home, even for five minutes. Their eradication is not easy; you don’t just spray them with a pesticide and then expect them not to return. One of the major reasons why ants come to your kitchen is to get food for their colony mates. Ants have a wide range of favorite foods, but tend to prefer sweet things like candy, brown sugar and fruit juice, protein foods like meat, cheese, and milk as well as carbohydrates like cooked rice, pasts as well as crackers. Your kitchen will be an attractive place for ants if there are any of these foods lying around. 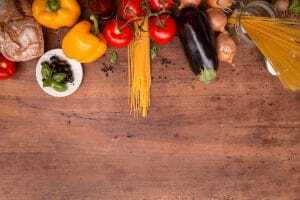 Therefore, if you want to keep off ants entirely from your kitchen, you must ensure that none of these foods, especially the perishable ones are scattered over your kitchen’s floor. 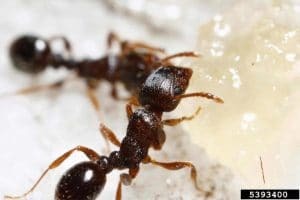 If your home has small kids and pets, you have to go an extra mile by cleaning it up several times a day since the food that they spill while eating or playing is very attractive to ants. When an ant comes across a food source in your kitchen, it notifies others, and with no time you will see a group of them surrounding the food. Even a single grain of sugar or a drop of syrup is enough to bring a squad of ants into your house. If you want to keep ants out entirely from your kitchen, make sure food, especially the perishable ones, are not scattered over your kitchen. Ants can take advantage of even the tiniest crack on or voids on or around your windows or spaces below your exterior doors to get into your house. That’s you find them coming again and again despite your relentless efforts to eradicate them. Until you properly seal the cracks around your windows, these insects will keep on invading your space whenever they want. Inspect your windows regularly to find out if there are small cracks near its edges and if they are present, seal them immediately. Besides, ensure that each exterior door of your house has a tight seal on its bottom. Don’t forget to keep the doors closed all the time. If you have kids who tend to leave the doors open, you need to sensitize them on why you want it closed-to prevent ants from getting into the house. By so doing, you bar ants from accessing your kitchen. Ants are unlikely to form a colony inside your house but will most probably come to look for food. For proximity to the food sources in your kitchen, ants tend to settle near your home and form a colony there. 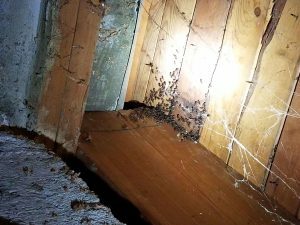 So if you have been experiencing a recurrent ant problem, chances that the insects have formed a colony close to your home are very high. 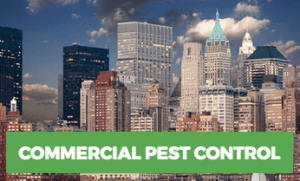 Search for these colonies and exterminate them but if the situation is beyond your control, then it advisable to seek help from a pest control expert. These are some of the major reasons why ants keep on coming to your kitchen. If you want a long-term solution to an ant problem, you must ensure that you apply the prevention tips we have highlighted here. However, you can contact a professional ant exterminator in case the problem has run out of hand. For a time, this was the only way of getting rid of kitchen ants. You’d see a line of ants and ant trails, and you would spray. End of story. This tried-and-true method still works, especially if the number of ants in your kitchen is rather small. You’ll have to clean up the dead bugs afterward, but the job can be done quickly, with little fuss. However, if you have small children or pets that might come into contact with the poison, you might consider a different way of killing them. Many homeowners swear by these traps. They are safer than spray poisons and can kill ants at the source. This is a popular method, especially when there are quite a few ants crawling around. The process itself is quite simple. The baiting kit will include an enclosure of some type that is filled with a somewhat-solid poison. The aroma that’s been infused with it attracts the ants en masse. These insects then literally “take the bait” … back to their nest, that is. The poison is slow-acting, which gives this time to happen. Once the bait is inside the nest, the poison will infect the colony. Even better, there’s nothing to clean up and it’s entirely safe. Not only is this method safer, but it is also effective in stopping more ants from the same colony making their way inside your home. These baits are available to purchase on the market, but may not be totally effective against a large infestation. This may be the best way of getting rid of kitchen ants, or, more specifically, how to keep them from coming back. Ants are attracted to food that we discard or leave out. Their incredible senses will tell them exactly where the food is and before you know it, they’ve made their way into your house, and you must figure out how to get rid of them. Disposing of trash that emits an odor might still draw ants to your home. So, always put your trash in a sealable bag. In fact, keeping regular food in sealed containers within your pantry is a good idea, too. 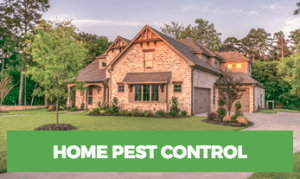 For any major ant infestation it is best to contact a professional pest control expert to help you get your pest problem under control. What Do the Dangerous Fire Ants Eat?